Aero Glass returns the complete glass effect into windows frames. Your windows will be rendered with transparent borders. This look allows you to see what is behind the border. The key element is the blurring of content behind the glass borders to prevent it from being too clear and disturbing. The result is very smart window border. The utility is completely integrated into Desktop Window Manager without breaking any system protection or modifying system files. All rendering is done via native Direct3D device. 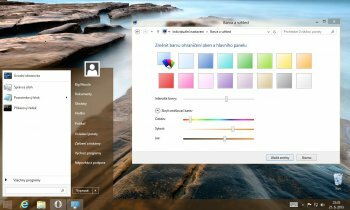 Any colorization settings adjusted in Windows Control Panels are respected. Use color intensity slider to adjust the amount of the transparency. (X) This program does not support the version of Windows your computer is running. I know certain Rootkits are not compatible with "Windows 2 Go" but why is THIS not compatible? Does it only work with Windows Spyware Platform 10? I'm using Acronis 2016 Home and after installing Aero Glass the scheduler got all screwed up. Running at random times during the day, and creating duplicate backups. Everything went back to normal after removing. Installed. Kept freezing computer. Uninstalled. Not ready for prime time. Uselessly complicated. Developer needs to get a grip on reality for installing this. "This service not supposed to be executed by the user "
Pros: Are there Pro's ? I must have missed those!